Just make a new 'Girlie' themed card to enter. Easy peasy so I hope you can join in with us. Check out the Ribbon Girl Blog for all the details plus some gorgeous cards from the Card Challenge Design Team. As always there's some fabulous prizes for up for grabs. Gorgeous card Vicky, love your use of the ribbon. Once again, a very clever card that I have come to expect from you...just beautiful, as always!! 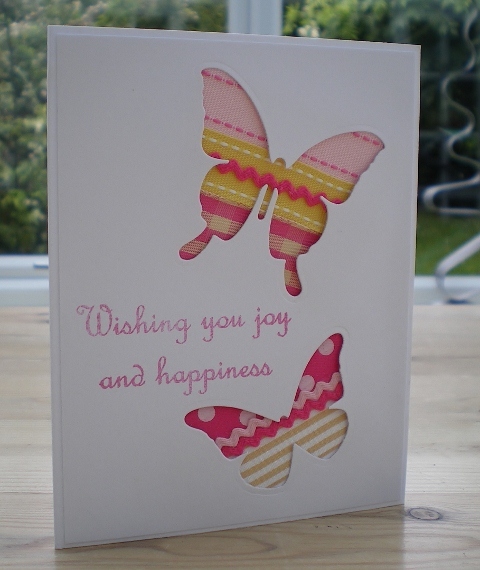 Such a pretty card Vicky, love all the ribbons behind the butterflies! Love your card it is gorgeous, I just love butterflies.